Worcester, UK. Monday 9th February 2015. 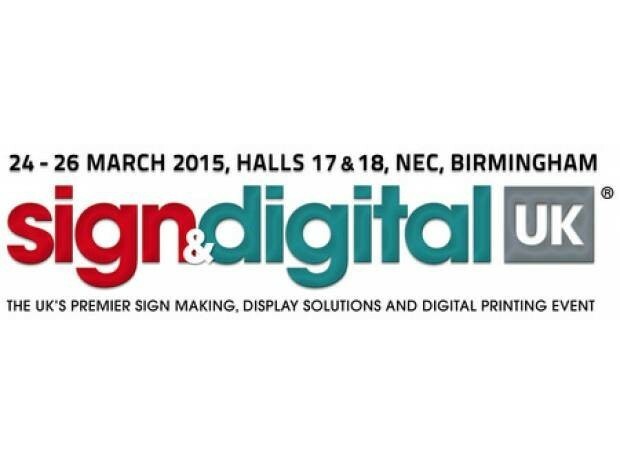 Stanford Marsh Group Graphics (SMGG), the commercial graphics division of Stanford Marsh Group, returns to Sign & Digital UK in 2015 - on stand E24 - with an array of exciting wide-format print solutions. Celebrating its 50th anniversary in business this year, SMGG is a leading independent solutions provider for the wide-format print sector. It sells and supports numerous print solutions including HP Latex and graphics products, Mimaki print and print/cut solutions, Mimaki flatbed printers, textile printers and 3D printers, alongside all the associated consumables and finishing devices. On stand E24, the company will be showcasing the 64-inch wide HP Latex 360 printer which has been designed to help sign shops, quick printers and small to medium PSPs expand their businesses and boost their capacity whilst maintaining a healthier production environment. The printer can print at up to 91 m2/hr (978 ft2/hr) and increases application versatility with an ink collector for porous textiles. The printer also features automatic front-to-back registration for printing double-sided banners. The Mimaki CJV wide-format print and cut solution will also be demonstrated on SMGG's stand. This multi-award winning, 'all in one' machine sports a number of high-end features and is delivered with up to 2 years' comprehensive Gold warranty, a full set of 8 inks, a take-up unit and a powerful software bundle including RasterLink PostScript RIP, FineCut cutting software and a design creation package. SMGG has had huge success selling the much-vaunted Mimaki JFX 200 Flatbed printer of late and will be happy to discuss Sign UK visitors' flatbed printing requirements at the event - as well as the associated financial options available. SMGG's stand will also feature the Easy Rack storage system which offers the perfect solution to the challenges of storing wide-format media. Built with high quality materials, the Easy Rack range is available in a number of different heights and widths and can be supplied on wheels or wall-mounted. The levers on the system can be adjusted to cater for the numerous sizes of roll-up media. As a truly independent supplier of an extremely wide range of printing solutions, SMGG is able to offer sound advice on how to get the best performance from any given machine. Courtesy of Stanford Marsh's own in-house finance company, it is able to offer flexible financial terms and fast credit clearance on purchases. SMGG's representatives will be able to talk interested parties through all the available options; finance can be arranged on the day and there will be special pricing offers for orders placed at the show. On the upcoming event, SMGG's Steve Guest comments: "Whether you're looking to buy an HP Latex solution, a Mimaki print and cut machine, the ever-popular Mimaki JFX200 printer or an Easy Rack storage system, come and visit us on stand E24 and we'll be able to help advise you on all your printing, finishing and consumables needs."